In a nation with the highest level of mobile phone ownership in the world, people take for granted the services they get with a swipe of their finger over their 4G network – video calls, mobile payments, online ride-hailing and mobile games. Liu Guangyi, chief engineer of the Wireless Department of China Mobile Research Institute, devoted himself to the research and development of 4G at a time when cellphones were nothing but devices for making phone calls, sending text messages and occasional internet surfing. Back then, he never anticipated that alongside the rapid development of smart terminals and 4G, the use of mobile devices would have undergone such unprecedented and rapid changes. Since early 2018, the public has become even more excited over 5G, whose global standards are expected to officially arrive by 2020. According to the tentative timeline for 5G rollout by the 3rd Generation Partnership Project (3GPP), a collaboration between groups of global telecom standard associations, the Release 15 plan for 5G technological standards were frozen in June 2018. This means that equipment manufacturers such as Huawei and Nokia can devote themselves to research and development of 5G, and telecom operators can start their market offerings in line with these standards. There is an adage in the telecom business: Leading enterprises sell standards, second-class ones sell patents and lower-level ones sell products. If an enterprise’s standards are adopted by 3GPP, it will reinforce its say over 5G technological development, sparking fierce competition. “The race for 5G is well-reflected in the establishment of standards. It is sometimes very fierce, even a life-or-death competition,” Liu told NewsChina. Liu participated in the 3GPP meetings on behalf of China, whose members include telecom operators, terminal manufactures, chip producers, academics, research institutions and government agencies. 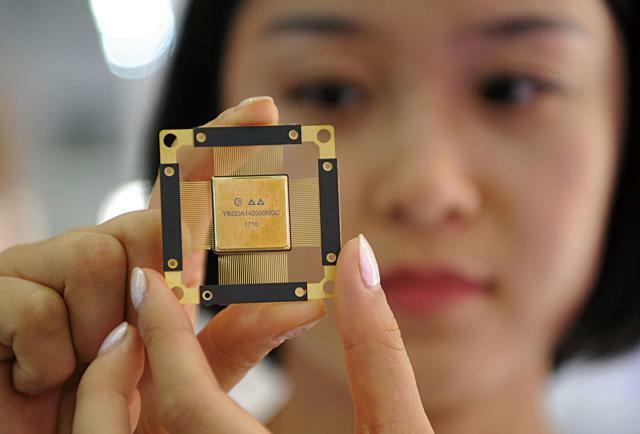 Zhang Ping, director of the State Key Laboratory of Networking and Switching Technology, Beijing University of Posts and Telecommunications (BUPT), said that intense debates over standards are quite normal and very few proposals are irreplaceable. Members have to compete before their proposals are accepted by 3GPP. “Decision-making hinges on technology. It is a procedure of competition and compromise,” Zhang said. Chinese enterprises like Huawei and ZTE have been actively involved in the meetings for 5G standards. On November 16, 2016, most of the major global telecom enterprises were present to discuss standards, and in the early morning of the next day, a relatively new technology won out – polar coding, backed by Chinese telecom giant Huawei. It was adopted by 3GPP as the channel coding for enhanced Mobile Broadband. Huawei says that polar coding lowers chip power consumption and improves the reliability of wireless communications. According to a report released by investment banking firm Jefferies in September 2017, Telecom Services: The Geopolitics of 5G and IoT, China owns 10 percent of the 1,450 “5G-essential” IPRs, which include those from Huawei and ZTE, with the proportion expected to rise. The report also noted that Qualcomm in the US accounts for 15 percent of shares of 5G-essential patents, Finland’s Nokia accounts for 11 percent, and Sweden’s Ericsson eight percent. China has the largest number of users and scale of telecom networks in the global cellular market. Mobile telecom technologies have been monopolized by giants like Qualcomm, Nokia, Ericsson and South Korea’s Samsung. China did not have any say in 2G and 3G standards, but now it has a brand new opportunity to become a significant player in the era of 5G. In April 2018, CTIA, a body which represents the US wireless industry, released the report The Global Race to 5G, which stated that China, South Korea, the US and Japan are competing to win. Leadership in wireless technology means billions of dollars in economic growth and millions of jobs in the industries of tomorrow, such as smart cities and the Internet of Things (IoT). Zhang Ping’s personal experience perfectly reflects the changes in China’s clout in the world telecom industry. When he attended the international standards conference for 3G, he was the only technical representative from China apart from government officials. “The Chinese delegation was best described by three “S” words – Smiling, Silence and Sleeping, because it had nothing to do with China,” he said. He has recently found that many Chinese enterprises and organizations have attended 3GPP meetings and many people even became heads of some working groups. Liu Guangyi likes to compare the industrial chain of 5G to a pyramid. On top are companies like AT&T, China Mobile and South Korea’s SK Telecom. The next tier is equipment manufacturers providing base stations, terminals, transmission facilities and core networks. Below this are component producers in the sector of chips and base stations. The last tier, however, are the upstream supply chains for components. 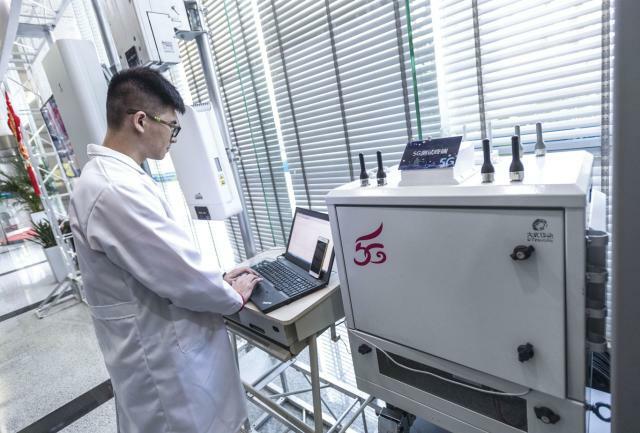 A closed loop in the industrial chain has been formed, and many enterprises are competing for the 5G standards in order to keep abreast of the market and technical advancement. cooperation. “The success of 5G is the common goal and joint efforts are required to achieve a good industrial environment and make the pie bigger from which each participant could gain a bigger share,” he said. Liu told our reporter that China Mobile has delivered two recommendations on the infrastructure of 5G in 2017 and 2018, and the latest edition which includes technical parameters for the framework, base stations and terminals was released at the Mobile World Congress in Barcelona, Spain in February. He said that telecom operators’ understanding of 5G is like the construction of a building. The first task is to set up the framework and then separate rooms, then install the windows and doors before the final decoration. It is a process from a basic outline to the finer details, and this framework gives guidance to the upstream equipment manufacturers. To date, the National Development and Reform Commission, China’s top economic planner, has agreed on a pilot program of 5G networks in some cities by China’s big three telecom operators – China Mobile, China Unicom and China Telecom. Liu said China Mobile has provided the detailed requirements on products and both manufacturers and suppliers have to produce guaranteed products in order to obtain orders. “The earlier they follow us, the earlier they can develop 5G products,” Liu told NewsChina. On May 12, 2018, Wang Zhiqin, vice-president of the China Academy of Information and Communications Technology and director of China’s 5G Promotion Group, released the Innovation and Development Report of 5G. She revealed that some core elements of the global standards for 5G were expected to be released in June. The big three telecom operators have released their time-lines for 5G: network trials in 2018, pre-commercial application in 2019 and official commercial use in 2020. In early June 2018, the big three telecom companies and China Tower Corporation (a cooperation between the big three and the world’s biggest operator of cellular towers) announced they will invest more than 200 billion yuan (US$31b) over four years to build a globally pioneering application network in China’s Yangtze River Delta region by 2021. Wang said many countries have sped up their research on the commercial use of 5G. For example, the US, Japan and South Korea will install telecom equipment in line with 5G standards in 2019, and European countries have also conducted technological experiments on 5G. In the US, the Trump administration has also said it is a priority to build 5G for both national defense and commercial applications. According to a report on the 5G industry by Qualcomm, 5G could generate global value chain revenue of US$3.5 trillion and create 22 million jobs by 2035. The wireless firm predicted that 5G will impact virtually every industrial sector and could bring in US$12.3 trillion in global sales by 2035. 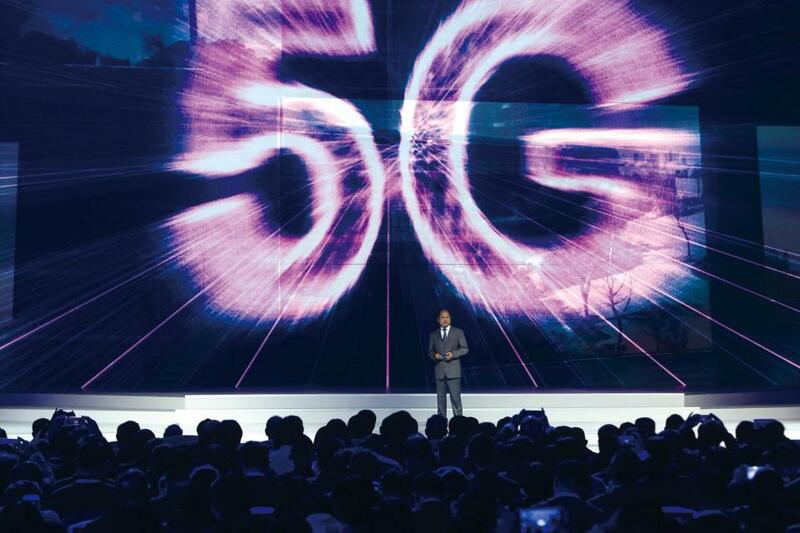 According to Chinese consulting and outsourcing firm CCID Consulting, the market size of China’s 5G industry is expected to reach 1.15 trillion yuan (US$180b) by 2026, 50 percent greater than its 4G market. Liu said that the Chinese government is fully aware of the driving force of telecom industries on society, and that it hopes 5G will boost the digital and manufacturing industries. On April 17, 2018, Xu Zhijun, rotating CEO of Huawei, said at the Huawei Global Analyst Summit that even though 5G is much faster and more reliable, it is not easy for consumers to see the difference in technology between 4G and 5G. He added that most consumers will not realize the importance of the new technology and it is also difficult for telecom operators to profit from it. Liu added that at a time when investment is higher but getting more money from consumers is unlikely, hope is pinned on the vertical market. It is a difficult process, however, to expand the vertical market at the same time as the government wants operators to build a massive 5G network from a national strategic prospective. “Operators face a very practical issue: how to get back the investment when the operation is in the red,” he said. In his opinion, overseas operators are in an even worse situation than China. In Europe, the books have barely balanced in the 4G era because of the relatively small population. “China has benefited from its large population size and huge demand. That’s why China, Japan and South Korea are more motivated to develop 5G,” he said. Even though operators are sometimes at a loss about the demands of 5G, R&D on 5G remains in full swing. Xu Zhijun announced that Huawei will continue to increase investment in 5G because if not, it would pay the price. “If you are not proficient in 5G, consumers won’t buy your 4G products,” he said, adding that it was the same for telecom operators. “We need to experiment with the vertical market but we won’t put excessive expectations on it,” he said, adding that under the current circumstances, the time is not ripe to transform the vision of 5G into reality. Zhu Huimin, marketing officer of 5G products for Huawei, said the vertical market for 5G has great potential for the company but that success would not come easily. “We could serve hundreds of millions of consumers by working with the three big operators. But fragmentation is the main feature of the vertical market in which our consumers are more diverse with multiple demands,” she said. According to Lu Zhaoming, associate professor at BUPT’s Laboratory of Network System Architecture and Convergence, when scholars define the application scenarios for 5G, it is mainly theoretical and no one is sure whether it is achievable or not. “It may take effect some years later, but to date, most application scenarios are not realized,” he told NewsChina. Yet, as the discussions on 5G continue apace, Zhang Ping, director of BUPT’s State Key Laboratory of Networking and Switching Technology, has already been invited to attend seminars on 6G organized by China’s Ministry of Industry and Information Technology.